JooTube.TV: Warsaw Ghetto Fighters' lessons on Holocaust and Heroes Remembrance Day- how well are liberal Jews adaping to self-defense? 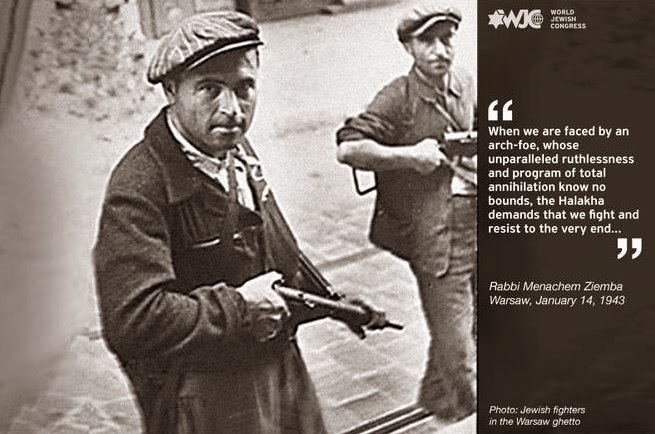 Warsaw Ghetto Fighters' lessons on Holocaust and Heroes Remembrance Day- how well are liberal Jews adaping to self-defense? 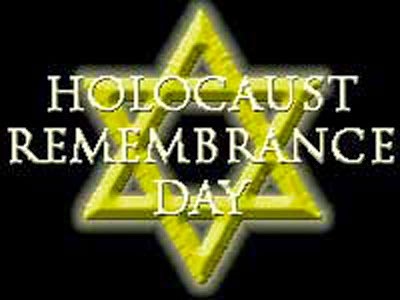 Holocaust Remembrance Day is celebrated on Nisan 27th in Israel, America, and in other Jewish communities around the world. It relates to the Warsaw Ghetto Uprising by Polish Jews 2 weeks before May 10, 1943. The history of the holiday is traced by Elon Gilad in Ha'aretz: "The history of Holocaust Remembrance Day" How Israel and the world contended with the challenge of selecting a single date to mark an unspeakable tragedy that happened every day for years. Watch examples of the vigilant Jewish Resistance in the Warsaw Ghetto 1943 in these scenes from the theatrical documentary "Uprising" (2001). The Los Angeles Museum of the Holocaust staged an annual Holocaust Remembrance Commemoration in Pan Pacific Park. The event featured tribute speeches by Los Angeles civic and religious leaders. Mayor Eric Garcetti, Israeli Consul General David Siegel addressed the gathered audience, which included a number of Holocaust survivors. J.J. Goldberg, liberal columnist (and former editor-in-chief) of The Forward.com, was selected by Gary Schiller's committee to deliver the keynote address at this year's gathering. In this playlist of the luminaries' speeches (and the children's choir singing before host Jonah Goldrich, "Al Shloshim Devarim") we feature Mr. Goldberg's 13-minute speech. We also include excerpts of Mr. Goldberg's video interview with us in which we discuss how Jewish public criticism of Israel has contributed to anti-Semitism becoming mainstreamed. We start off with Randall Schoenberg, the chief of the L.A. Museum of the Holocaust, sharing his thoughts on the day. (Advance with Playlist controls on bottom pane). 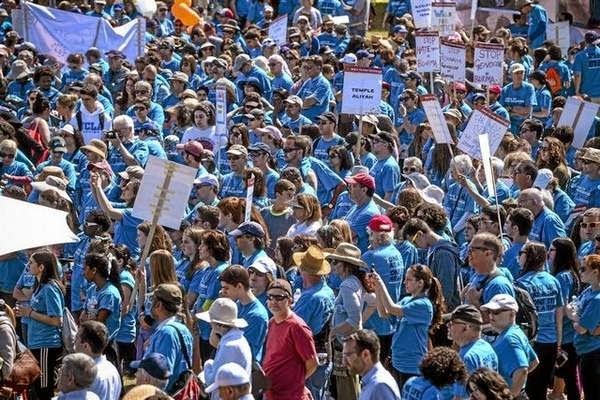 According to Dana Bartholomew L.A. Daily News, the commemoration in Los Angeles began with Jewish World Watch holding a "Walk to End Genocide" in 5 cities in addition to Los Angeles' 3,000 walkers on Sunday morning, 27 April. However, Jewish World Watch typically avoid reference to the sought genocide of their Jewish brothers and sisters in Israel by Palestinians, Islamist Iran, Hezbollah, and, indeed, the entire Islamist jihad. I wonder whether the Warsaw Ghetto fighters would approve of this on the day set for remembering their vigilance and averting future catastrophe. Europe's view of the present Israeli offensive against Hezbollah as an "overreaction" and "disproportionate use of force" is rooted in relatively recent history, say progressive researchers. 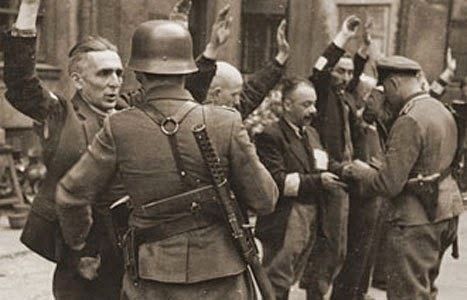 In 1943, Europe itself suffered from a similar Jewish overreaction to some controversial German policies, in an event known as the Warsaw Ghetto Uprising, when Zionist radicals attacked the National Socialist German Workers Party that was loved by the German people for its far-reaching educational and social welfare services. In fact, many academics who teach Peace Studies at prestigious universities believe that it was the Zionists' "disproportionate use of force" that had ruined hopes for peace in Europe and caused a humanitarian crisis that could have easily been avoided if only Jews had shown restraint and tolerance towards the democratically elected German government. 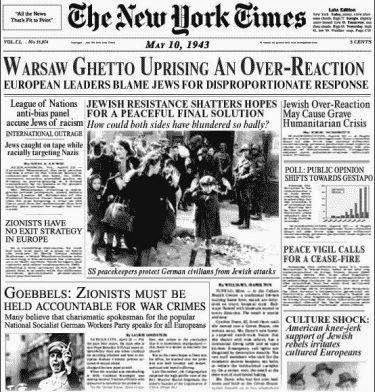 In fact, the reaction of world's media to the current Middle Eastern crisis is almost identical to that during the 1943 Warsaw crisis when, as modern historians claim, militant Zionists jeopardized the fragile peace that European leaders and progressive intellectuals had been trying to achieve by civilized means - as evidenced by the following collection of quotes and headlines of the time.